The department said in relation to the previous quarter, the economy of the country in the second quarter of this year (taking into account the seasonal factor) grow by 1%. According to the service, nominal GDP for the second quarter of 2018 was UAH 807.3 billion, the deflator's change was 17%. In the second quarter of 2017, these figures were equal to UAH 664.76 billion and 20.9% respectively. GDP per capita, according to statistics data, in April-June this year rose to UAH 19,074, in real terms by 4.3% compared to April-June last year. According to the report, the share of final consumer spending increased to 91.5% from 90% a year ago, while that of gross savings decreased to 14.6% from 15.3%, and the deficit of exports and imports of goods and services increased to 6.1% from 5.3%. 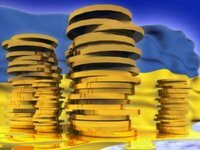 The National Bank of Ukraine in July estimated GDP growth in the second quarter at 3.2%. The central bank forecasts acceleration of the country's economic growth this year to 3.4% from 2.5% in the past year. At the same time, the NBU expects the slowdown in growth in 2019 to 2.5%, followed by acceleration to 2.9% in 2020.